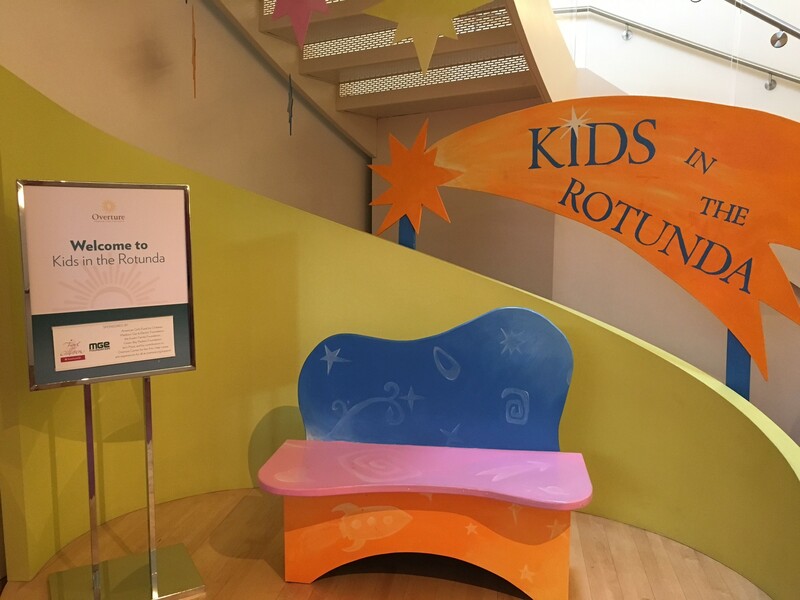 We had such a great time at our three shows at the Overture’s Kids in the Rotunda on December 2nd! Thanks to everyone who came out to see us. The day before the show, we were the subject of a nice Wisconsin State Journal article, which is online here. Thanks to the Overture Center for inviting us to perform again and Summit Credit Union for piggy banks for all the kids in attendance! Aargh! Kids in the Rotunda Pictures! 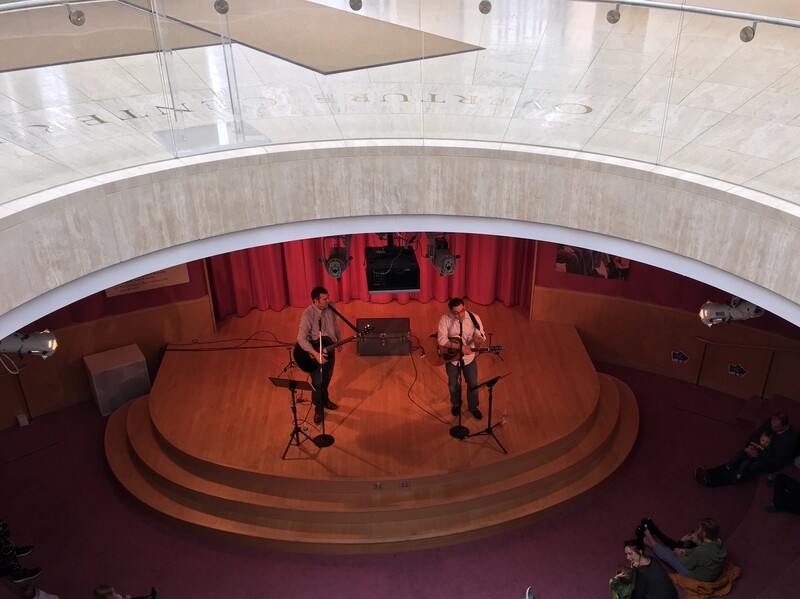 We want to thank everyone who came out to our three shows at the Overture’s Kids in the Rotunda on April 29th! Also, a big thanks to the Overture Center for inviting us and Summit Credit Union for providing surprises to the kids. It was a day we’ll never forget. 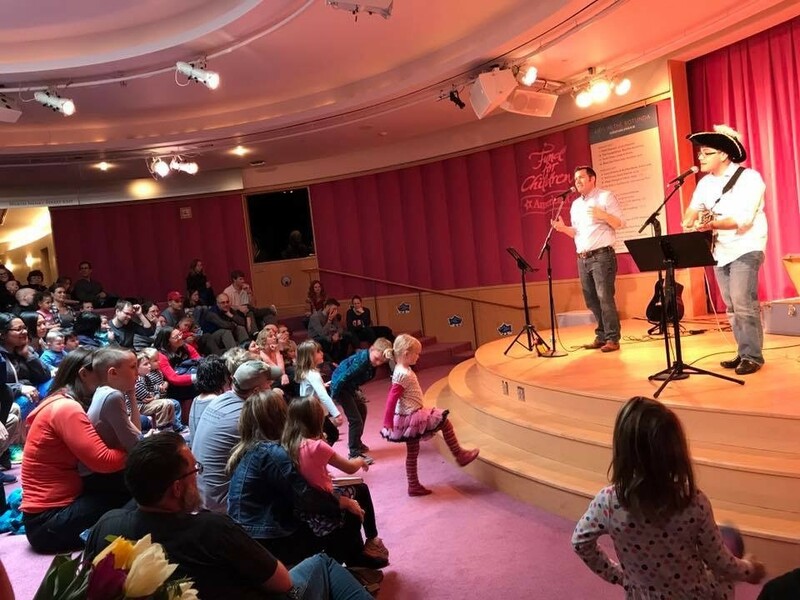 The Disclosures – the Madison-based “musicians with a mission” – are set to play three free performances at the Overture Center’s Kids in the Rotunda series on April 29th! Get ready to sing along with The Disclosures, whose humorous songs blend lessons on basic money management with stories of pirates, piggy banks, toys and more. 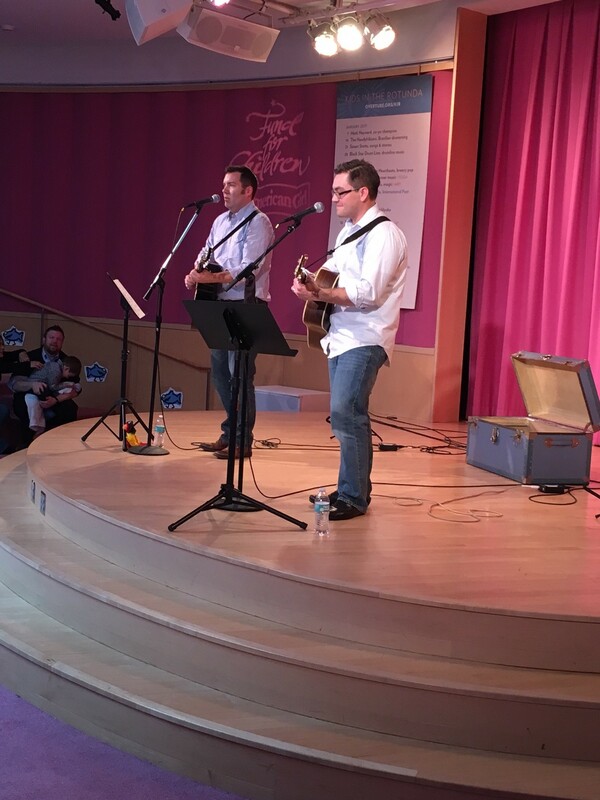 Christopher and Chad combine their passion for music and years of experience working with youth financial education to perform songs from their album, “The Secret to Being Rich”. Learning about money has never been this fun! Visit the Overture Center’s website for more information about the venue, show times and more. And here’s a video about what to expect when you attend a Kids in the Rotunda show. PSSST…as a bonus, the first 600 kids in attendance will receive a special surprise from our friends at Summit Credit Union. The Disclosures – the Madison-based “musicians with a mission” – have released a new animated “lyric” video for “The Tale of Kidd Silver, the Savviest Pirate to Ever Sail the Seas”, which is from their financial education album for kids. 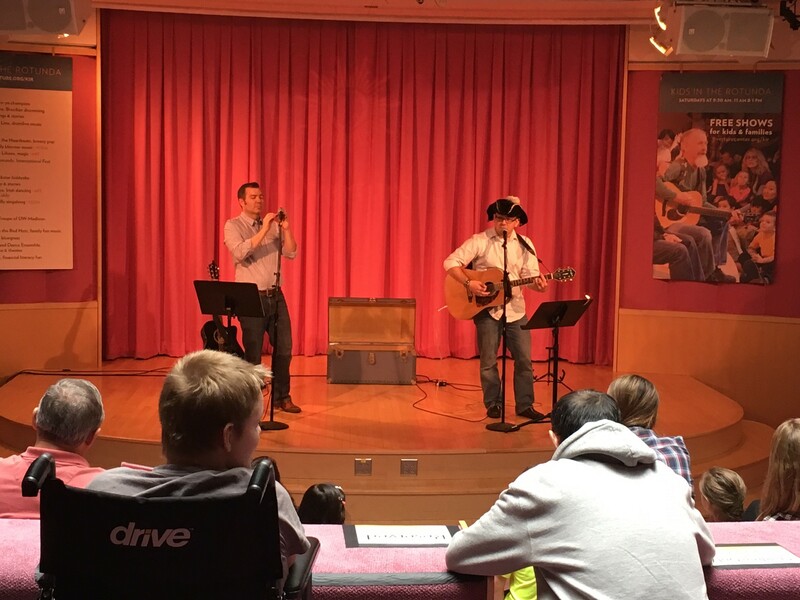 In the song “The Tale of Kidd Silver, the Savviest Pirate to Ever Sail the Seas”, The Disclosures – comprised of band members Christopher Morris (National Credit Union Foundation) and Chad Helminak (Heritage Credit Union) – detail the journey of Kidd Silver, a pirate who excessively borrows money without paying attention to the consequences of not being able to pay it back. He later realizes the errors of his ways and learns to budget and be more reasonable in his desires to become a pirate. The song lyrics weave in educational topics including how loans and interest work, needs vs. wants, budgeting, and more. The Disclosures worked with a leading industry marketing firm, Gira[ph}, to develop the animated video. Production support was provided by Balance, which provides comprehensive financial counseling and education services to help people achieve financial independence. In addition to this new video for kids, The Disclosures also have released videos for “The Secret to Being Rich”, “I Want, I Need,” and their most popular single “Thank My Piggy Bank.” As with all of their songs and videos, The Disclosures hope that parents and teachers use these materials to spark conversations with kids about these very important topics. “The Secret to Being Rich” album is available for download on all major digital music stores such as iTunes, Amazon and many others. Physical CDs also can be purchased at cdbaby.com, and The Disclosures also offer discounted bulk CD orders for financial institutions, schools or youth organizations. All ordering information and additional resources can be found on thedisclosuresmusic.com. Click here for more information about The Disclosures. Have you Picked Up our Kids Album Yet? There is a very real need for children to be introduced to financial education at an early age. Last year, the National Financial Educators Council (NFEC) tested teens on areas covered within national financial literacy standards. The results were shocking; while only 4.7% of participants got an A on the test, 62.4% got a D or an F.
Music and education have been effectively used to teach children about important topics such as reading and math, but not around the basics of financial literacy (until now!). Our latest album, “The Secret to Being Rich,” incorporates concepts such as saving, responsible spending, the importance of charity, the dangers of “too good to be true” advertising and even the basics of how loans work for children ten and under. It’s fun. It’s educational and the songs will stick with you (and your child)! The credit union industry’s only education-focused rock band, The Disclosures, has released a fun and informative video for credit union employees to celebrate International Credit Union (ICU) Day. > Click here to watch the video. 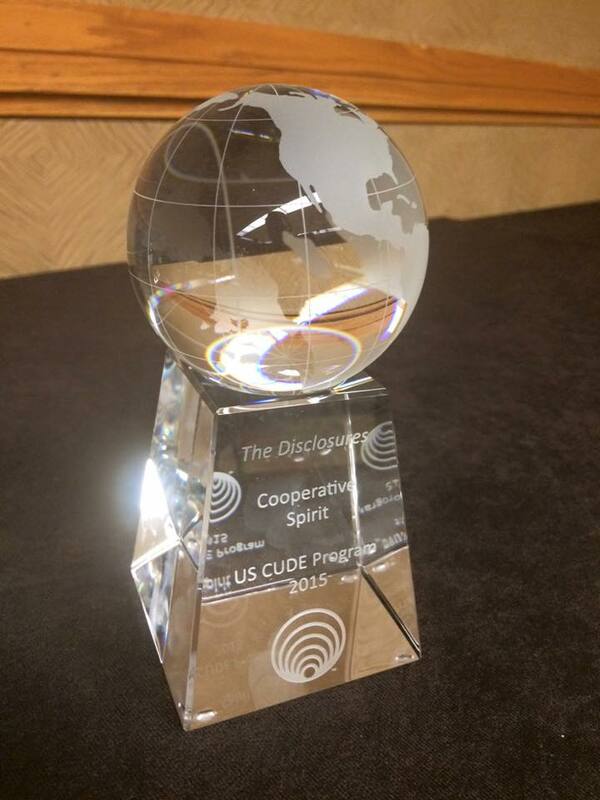 And, of course, a few credit union-inspired songs by The Disclosures. The video’s content borrows heavily from The Disclosures’ highly-rated breakout session that has been presented at industry events around the country. 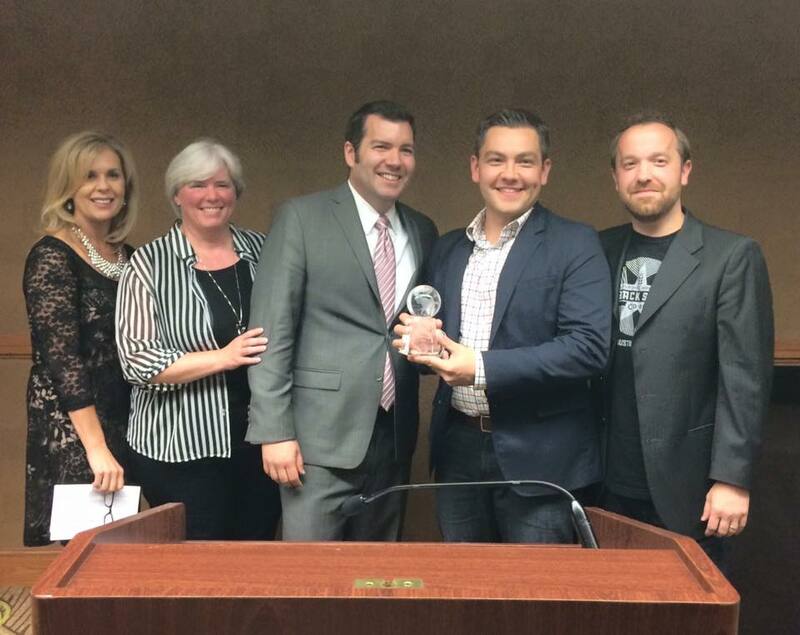 The video is free for all credit union organizations to use as they see fit. The video’s estimated run time is 30 minutes and was recorded on the World Credit Union Center Campus in Madison, Wis. 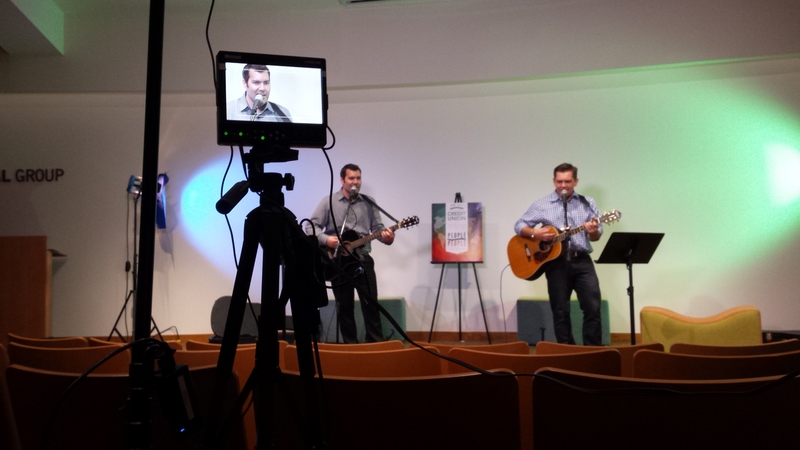 The Disclosures would like to thank CUNA Mutual Group for providing production support. 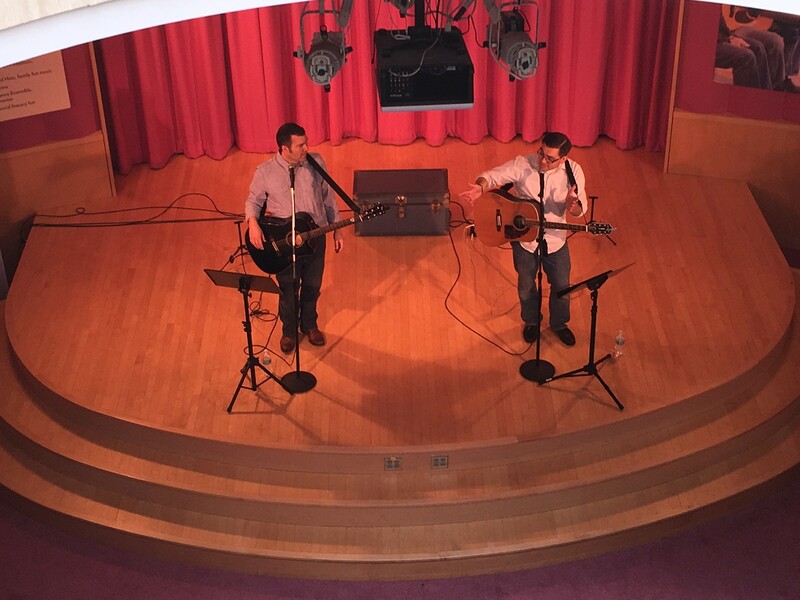 Christopher Morris and Chad Helminak are “musicians with a mission” based out of Madison, Wisconsin. Outside of their day jobs, they moonlight as music-based educators “The Disclosures” and write songs and perform presentations about the importance of financial literacy and social responsibility. 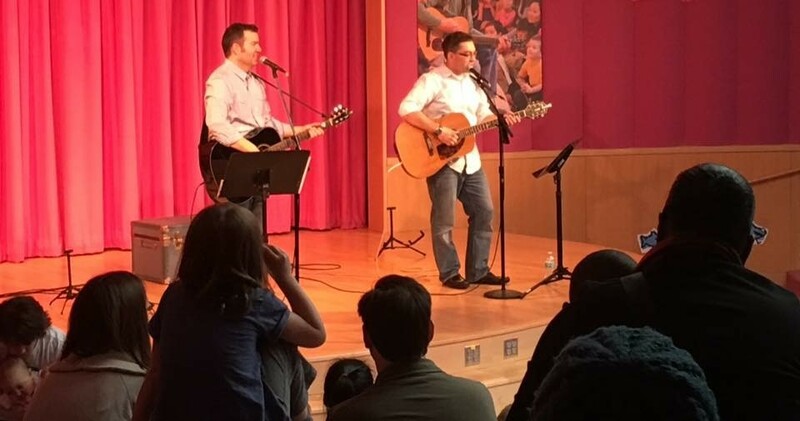 After releasing their first album of original credit union songs in 2011, Christopher Morris and Chad Helminak presented highly-rated education sessions and music performances across the nation. Their latest album, “The Secret to Being Rich”, is focused on youth financial literacy, using music and humor to introduce lessons about money, savings, responsible spending, and more. 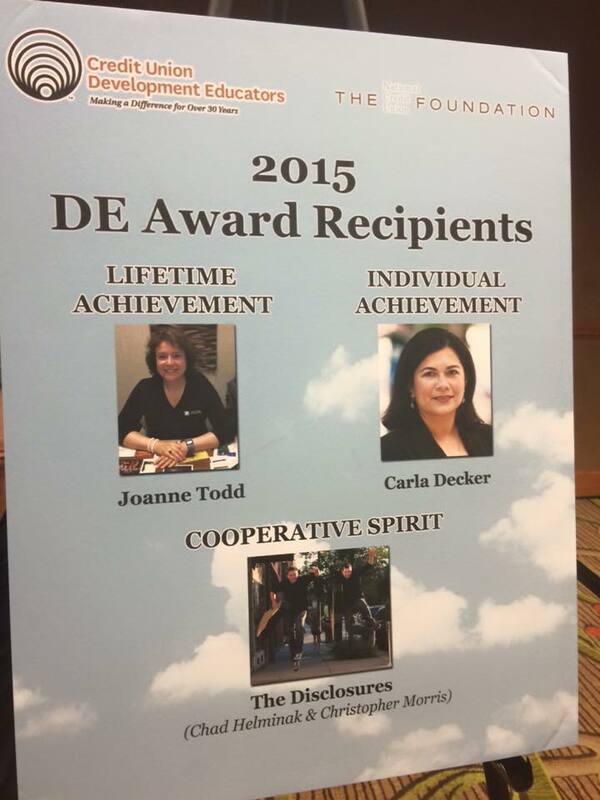 For more information about The Disclosures, click here. The credit union industry’s only education-focused rock band, The Disclosures, will be releasing a fun and informative video for credit union employees on October 15 to celebrate International Credit Union (ICU) Day. 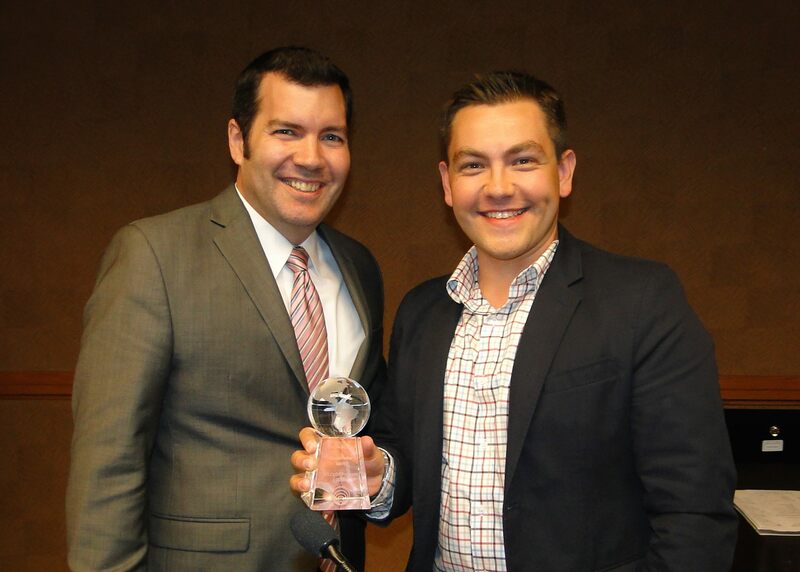 The video’s content will borrow heavily from The Disclosures’ highly-rated breakout session that has presented at industry events around the country. It will be uploaded to the band’s YouTube account and is free for all credit unions to use as they see fit. If interested in viewing and sharing The Disclosures’ ICU Day video, visit the band’s YouTube page at www.youtube.com/user/thedisclosures and subscribe to be notified as soon as it’s uploaded. The video’s estimated run time will be 20-30 minutes. The Disclosures – the Madison-based “musicians with a mission” – have released a new “lyric” video for “I Want, I Need”, which is from their recently released financial education album for kids. In the song “I Want, I Need”, The Disclosures discuss the difference between wants and needs to help kids manage their money better. Once kids learn the difference, it’s a great foundation for budgeting, saving, spending, etc. In fact, because the concepts on The Disclosures’ new kids album build on themselves, it’s one of the first songs on the album.